Yes, that is exactly what I mean! I don’t think you should compromise with your spouse on retirement plans. Even though we are taught from childhood that compromise is essential to getting along with others, I think if you resolve your retirement issues by compromise, you are setting yourself up for an unhappy retirement. If you want to have a harmonious retirement with your spouse, then you should forget the notion of compromise. In order to live happily ever after, I think it is crucial to understand the meaning of compromise, and why it is a mistake to think it will resolve your retirement plan conflicts. It will leave you feeling like you have given something up, which in turn will cause the unwanted emotion of resentment. When it’s time for you and your spouse to decide on retirement plans such as where to travel, when to quit your job, sell your house, or take social security, a win-win solution is much better for promoting retirement bliss, than compromise. Before we learn how to create a win-win solution, let’s consider what it means to compromise. Compromise is defined as an agreement or a settlement of a dispute that is reached by each side making concessions. A concession is a thing that is granted, especially in response to demands. Think about that for a moment. Does that definition sound like something that would ultimately foster a positive and loving relationship – each side demanding that the other give something up in order to settle a dispute? I think it sounds like a recipe for disaster. Eventually, you’ll wind up with a communication break down. Additionally, people don’t like to feel like they’ve kowtowed, especially to a demanding husband or wife. Consequently, resentment builds up over time making communication difficult or impossible. Let’s be real, resentment is the last thing you want at a time in your life when you should be enjoying yourselves. To summarize, compromise ultimately creates conflict because it is based on the idea that I give up something for you, and you must give up something for me, which leads to keeping score, which in turn breeds resentment, which results in unhappiness. Avoid the pain of resentment with a Win-Win mindset. Avoid the pain of resentment caused by the feeling that you’ve given something up to please your spouse. Develop a win-win mindset; an attitude that continually seeks mutual benefit in all human interaction. And who better to practice this with than your spouse? First of all, I will entertain the idea that there are differences of opinion or disagreements about what direction you and your spouse will take in retirement. Also, we will presume that these issues will be resolved because all disagreements have a resolution, one way or another. What’s most important to consider is that the problem-solving process you use will have a great impact on your future happiness. Decisions, or outcomes, should not cause you or your spouse any lingering resentments, feelings of hurt or defeat. To fully understand the win/win mindset let’s go over what Stephen Covey defined in his critically acclaimed book “The 7 Habits of Highly Successful People”. There are only 4 different types of possible outcomes to conflict resolution. Number 1 – LOSE-LOSE – This is an outcome where it ends up bad for both of you. 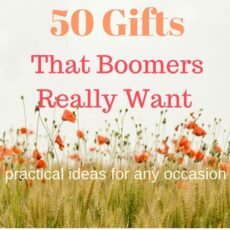 For instance, you demand your spouse continue working because you think you need the money, but he or she drops dead before the both of you ever get the chance to enjoy retirement. Number 2 – LOSE-WIN – Here, for whatever reason, you give up and let your spouse win. Deep down you feel upset with your spouse’s win and your loss, which makes harmony and happiness a casualty. For example, you give in to your spouse’s desire to downsize and move to the country. However, there are no golf courses nearby, and you miss golfing with your friends. You silently brood about your loss. Number 3 – WIN-LOSE – In this outcome, you win and your spouse loses. The danger in this is that your spouse may feel defeated, slighted, and hurt. You may be happy to be the winner, but only temporarily because of your spouse’s feeling of defeat. You run the risk of injured feelings contaminating your relationship and ruining your happiness. Let’s say you want to visit the grandkids, but your spouse wants to spend the afternoon with you. You win, visit the grandchildren, but your spouse feels rejected and complains that you always seem to have more time for the grandkids than you do for him. Number 4 – WIN-WIN – This is the best outcome for all! Win-win is a resolution that works for the both of you – one that each of you is happy with. It ensures that you both receive benefits from the decision. It is a feel-good outcome. When you feel good, your energy is high and your world is full of peace and joy. Now that we’ve got that down, let’s look at the steps for achieving a win-win outcome. Number 1. Collaboration with your spouse is the key to a successful win-win scenario. You collaborate and work together to create the desired outcome that pleases both of you. Win-win is not always the easiest or quickest method to achieve an end result, but when you are talking about the rest of your lives together, it makes perfect sense. Take the time, express yourself, and most importantly, listen. Number 2. Be alert. Disagreements are unpleasant, but don’t avoid them. When working to achieve a win-win outcome, don’t ignore differences or allow them to fester. They need to be addressed, so as not to build up resentment or hurt feelings. Number 3. Purposefully listen. You already know what is a win for you. Often a spouse thinks they already know what their spouse wants, and many times they are wrong. Without purposeful, non-judgmental listening, you cannot know what is a win for your spouse. Number 4. Adopt a win-win attitude. You’ve adopted a win-win attitude when you make a sincere commitment to finding a solution that works for both you and your spouse. You adopt a position that you will not accept an agreement where you win and your spouse loses or vice versa. When you and your spouse have worked together for a mutually beneficial result, and both of you can honestly say that you feel good about the decision, then you have achieved a win-win outcome. Both of you win when neither of you has given in to demands or given anything up. As a result, you and your spouse move forward with a commitment to your retirement plans. In the mid-90s Rebel Retiree and I made the decision to make significant changes in our lives which included a major move across the country. As he says in his article “Retirement Travel – Not All Who Wander are Lost”, we decided to move where we vacationed. Both of us agreed that our move would be to one of the western states – namely New Mexico, Idaho, or Montana. We didn’t want to be near a big city, but we did want to be within a reasonable distance to national parks. My husband wanted to move where it snowed. However, because of his lack of driving experience on snowy roads, preferred moving to a banana belt. We both desired a rural setting, but I would be unhappy if it were so far out in the boonies as to prevent me from taking regular trips to town. With eagerness, I began researching possible places to relocate until I narrowed it down to a few spots that met our criteria. Next up, we visited each of these areas to see how they suited us. Rebel Retiree and I found a mutually agreeable community in the northwest. The move was a considerable undertaking, but we are still pleased with our decision and haven’t looked back. Compromise is not the best way for you and your spouse to handle retirement plans. It will leave you feeling like you have given something up which in turn will cause the unwanted emotion of resentment. A win-win resolution may take effort, but it is much better to work together to find an outcome that will leave you both feeling mutually contented. Your retirement happiness depends on it! Now that you’ve read this, you may want to click on over to my article on what to do if your husband wants to move and you don’t. ← Is My Pension Safe? Or, What Could Possibly go Wrong in the Next Twenty Years?